Exploring interdisciplinary pedagogy in the college classroom. The Smithsonian American Art Museum can serve as a dynamic resource for curricular content and educational innovation. Museum staff can connect and discuss the benefits of integrating the art museum into your teaching and demonstrate the myriad ways of connecting with our collections, exhibitions, programs and professional staff. For more information, contact the Education Department at AmericanArtEducation@si.edu. How is perspective used by artists, architects and museums to engage audiences and encourage experiential learning? How do we teach about perspective as both a spatial and relational tool? And how can the Renwick Gallery be a site for perspective-taking and making within your pedagogy and/or creative practice? Join Smithsonian curators and a panel of special guests for a seminar that explores these questions and more. Brennan Buck (of FreelandBuck) and Rick Araluce will discuss their respective architectural installations—Parallax Gap and The Final Stop. Plus, a representative from Thomas Phifer and Partners (architects of the upcoming Glenstone expansion) will consider the role of the museum as laboratory for architectural experimentation. 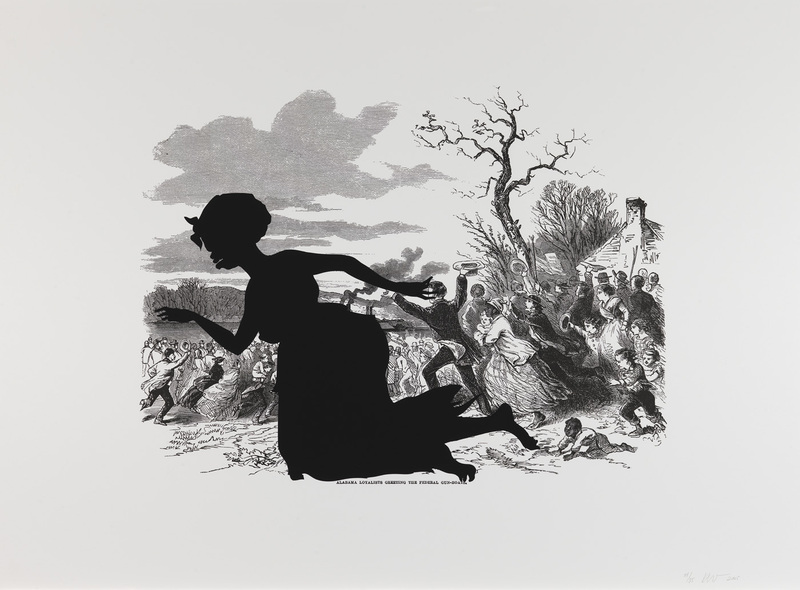 Kara Walker’s artwork has stirred controversy in the art world and beyond for her use of racial stereotypes and brutal images of slavery in the Antebellum South. How do her provocative images of the past reflect contemporary racial tensions? How can Walker’s work foster a more nuanced understanding of historical narrative and race in America? Join university colleagues for an in-gallery workshop that examines Walker’s series, Harper’s Pictorial History of the Civil War (Annotated). We’ll discuss Walker’s work and explore several potential strategies for integrating art into the humanities classroom. Following the workshop, faculty are invited to attend a public lecture by Dr. Deborah Willis which examines Kara Walker’s work and the use of Civil War imagery in contemporary art.